I love getting custom orders for many reasons. One of the reasons is that customers give me challenges I wouldn't have thought of myself. 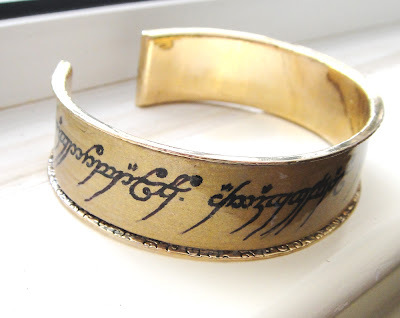 I'm not a huge Tolkien fan but I have a lot of respect for the amazing world he created in all of his books. 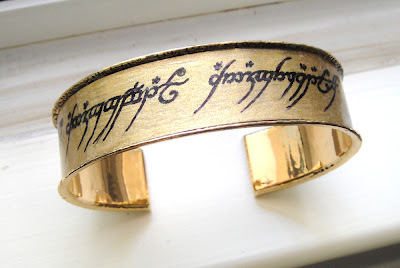 The languages and symbols are beautiful and make for great jewelry as I found out with this custom order. First is this gold bracelet that mimics the One Ring from the LOTR movies. I struggled with this one. I actually had to take it all apart and start over at one point. It took some patience but I was able to figure it out and I really like the finished product. This next bracelet was made from a vintage copy of Fellowship of the Ring. 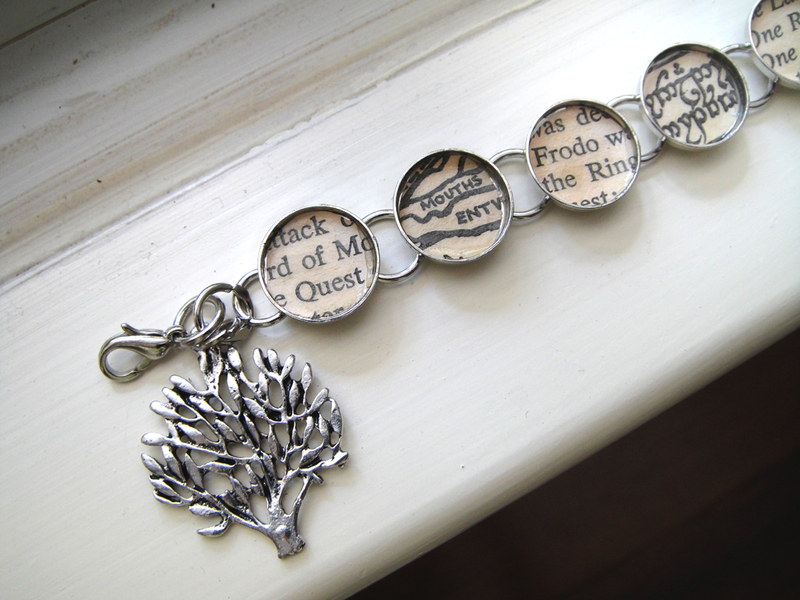 The customer already had the Alice in Wonderland version of this and wanted a LOTR one. I was excited when I found the book but was disappointed when there were no illustrations in it. Luckily, there was a map in the front along with some different languages. I added a tree charm for a unique touch. I think it came out pretty nice! 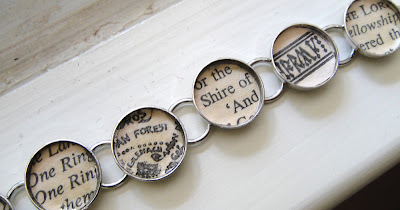 What books would you like to see made into jewelry?